Hooray it's Monday! I've got a really bright layout to share today. 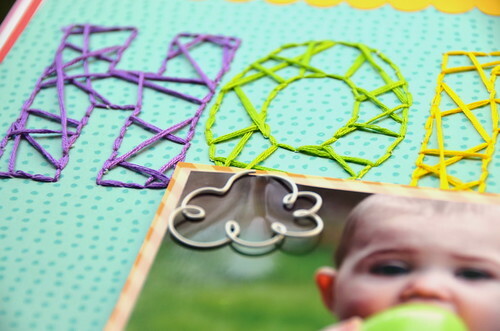 I've been wanting to do a big string art inspired title for a while, and it finally worked out on this layout. The title was fun to do, but it takes forever. Well, it took a few hours as I watched some anime and I know that slowed me down a bit. This page was made for make it Monday over at the Memory Nest using this sketch. I was fairly faithful to the sketch again. Not too many tangents. I have done some cross stitching way back when so I think that's why I like to stitch on my layout. I added some cute stamps. 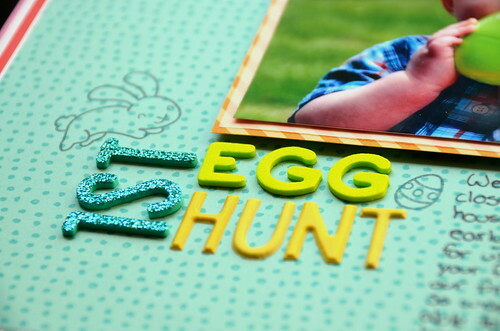 I really wanted to add another stamped egg, but couldn't find a good spot for it to "hide." I used my own enamel dots again! I've got a process video coming for this layout. Hopefully, I'll have it up by Monday evening (west coast time). Hi Saskia! LOVE this Layout!! 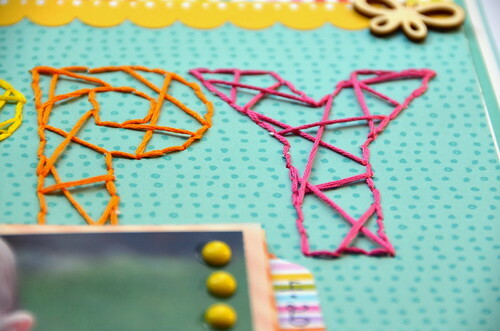 The stitching/string art is just AWESOME! 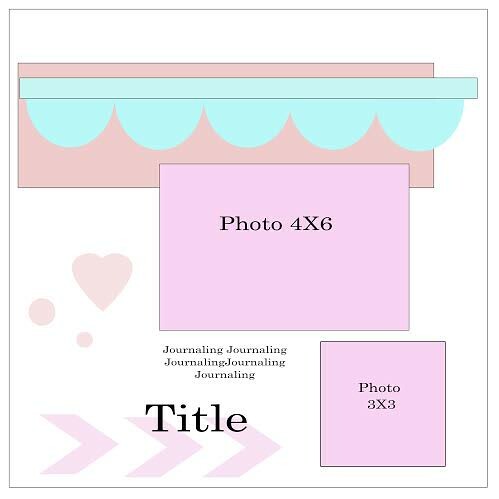 So perfect for this layout! 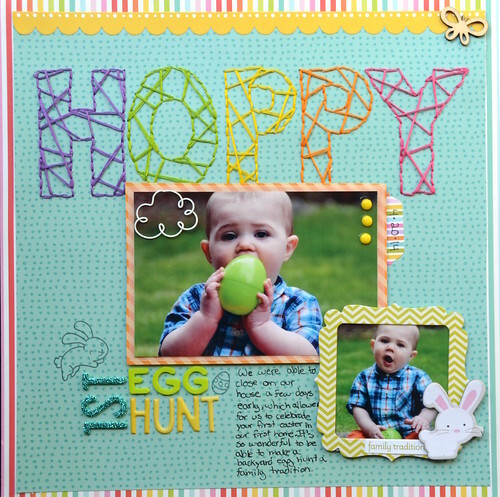 Love your little hidden stamped egg, and all of your super cool embellies too! WOW! That's a title! And such a little cutie in the photos, love your page. What an amazing page!!!! I absolutely love the string art title.